Late September in Oregon’s Willamette Valley is sheer magic. When I visited for a week temperatures were in the mid 80s. 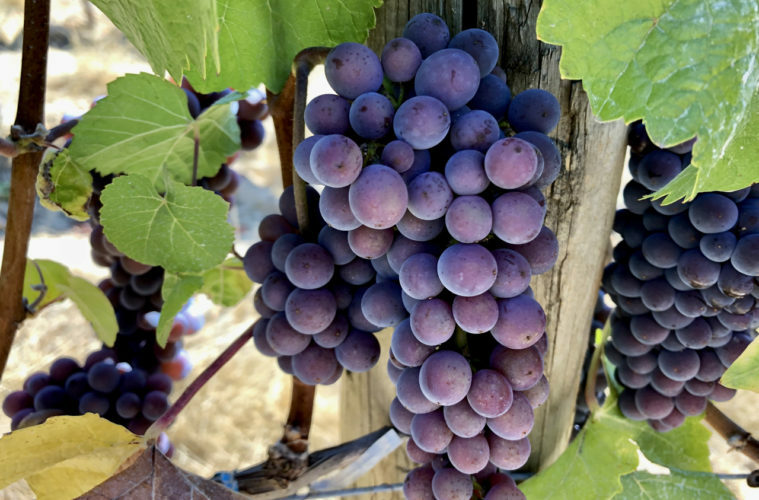 It was harvest time and I had the opportunity to get up close and personal with many of the growers and winemakers whose passion fuels an incredible wine industry. After landing in Eugene, we took the short drive to Junction City and stopped at Antiquum Farm Winery. 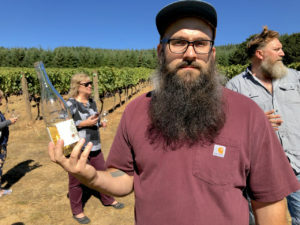 Co-owners Stephen Hagen and Andrew Bandy-Smith welcomed us to their gorgeous property with a taste of one of their Pinot Gris. Silly as it may sound, you can taste the love they pour into crafting their wines. Stephen is a Junction City native who returned home after spreading his wings for a time, to raise a family. Wine, he said, was an afterthought. “A lot of the way we farm is the way we wanted our family to run.” Andrew grew up in the midwest and moved to the Pacific Northwest about a decade ago and had a change of heart about attending law school in Seattle. It “proved to be a great decision”, he said, because the class he would have graduated with found there were no jobs waiting for them. He got into wine through the restaurant scene and took training to become a sommelier. 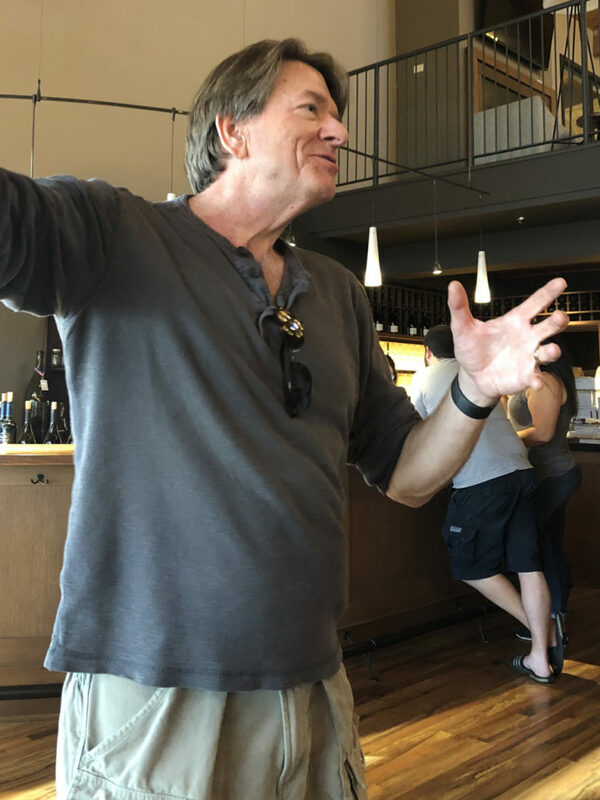 He started hanging out at suburban Seattle wineries before teaming up with Stephen. “We’re trying to be closer to that really intense personal intimacy with who we are and what we believe” Andrew said. Antiquum is Latin for old methods or old ways. They’re trying to bring farming back to a pre 1940’s philosophy. 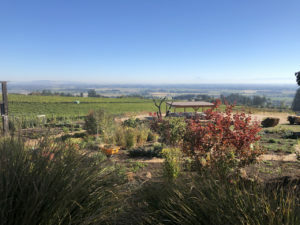 We walked the vineyards while enjoying one of their incredible Pinot Noirs and then hopped into two cars to drive a pitted dirt road to the top of their property. Spending time with both of them is a lesson in the value of putting every ounce of love into what you do. The pride in how they grow their grapes and make their wine is obvious. Their PassiFlora Pinot Noir is one of the finest I have ever tasted. 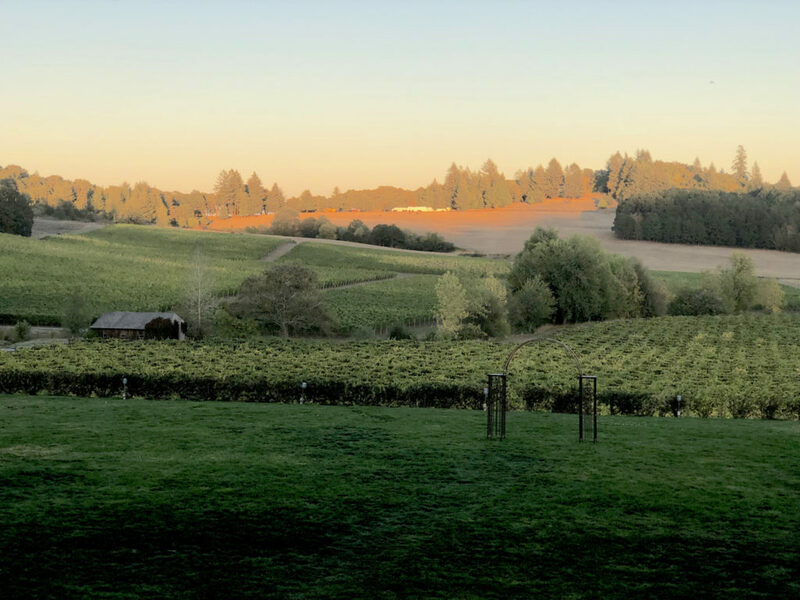 From Antiquum we traveled to Willamette Valley Vineyards. I had a personal reason to look forward to this stop. I’d met Senior Winery Ambassador Wende Bennette eight or nine years ago and I couldn’t wait to see her again. Beside that, the Willamette Valley Vineyards wines are pretty damn good. 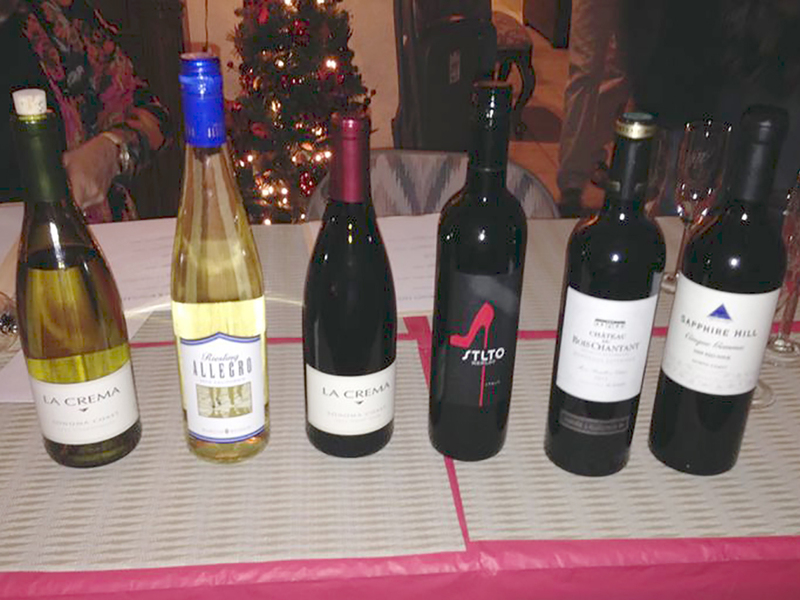 She selected wines for us to taste she thought were really fun, starting with their estate Chardonnay. Although Oregon is now recognized for producing world-class Chardonnay, that wasn’t always the case. 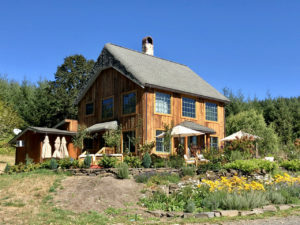 Several growers gave up on it, but founder Jim Bernau is what Wende calls a “yes person.” 28 years old when he founded the winery, he started with 15 acres and lived in a single wide trailer. Bernau was determined to grow cool climate varieties and couldn’t understand why Chardonnay didn’t do well. After professors at Oregon State told him they felt the vines that had been planted up until then had adapted to warmer climes. He traveled to France on a trade mission and was met with a loud “non!” After convincing the French he wasn’t a threat, they gifted the state Dijon clone which was planted in 1993. The Dijon clone thrived in Oregon’s cool climate. 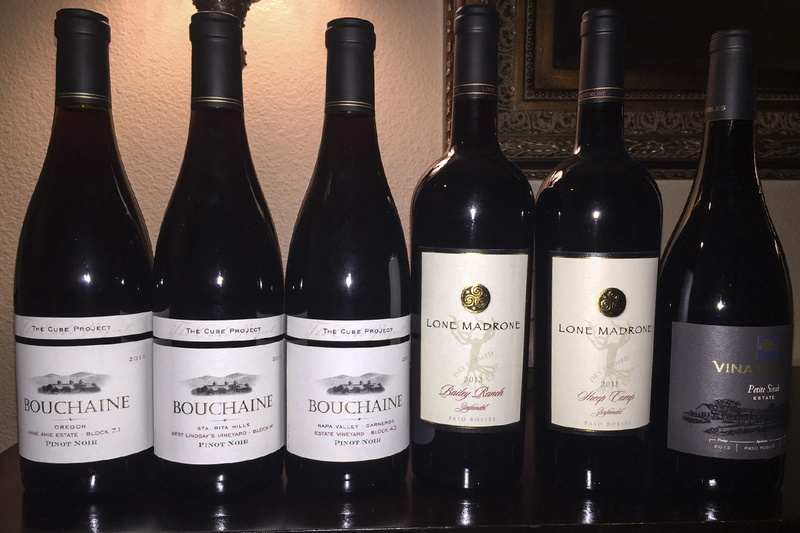 Bill Fuller, who had worked with Louis Martini in Napa, moved north and started Tualatin Estate. Fuller’s company later merged with Willamette Valley Vineyards so that Bill could retire. 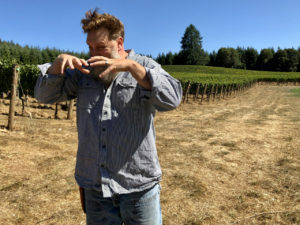 Bernau is passionate about all things Oregon wine and is livid about a California wine producer marketing two wines with distinctly Oregonian names. He claims they’re violating Oregon law and is asking the Oregon Liquor Commission to bring them into compliance, citing numerous violations. While we visited with Wende and Jim, we enjoyed a delicious lunch, choosing from the tempting menu. I savored the apple cider brined pork loin with lentils. We retreated to the Oregon Garden Resort to check in before heading out to Zenith Vineyards for a tasting and dinner. The resort is spacious and impeccably landscaped. 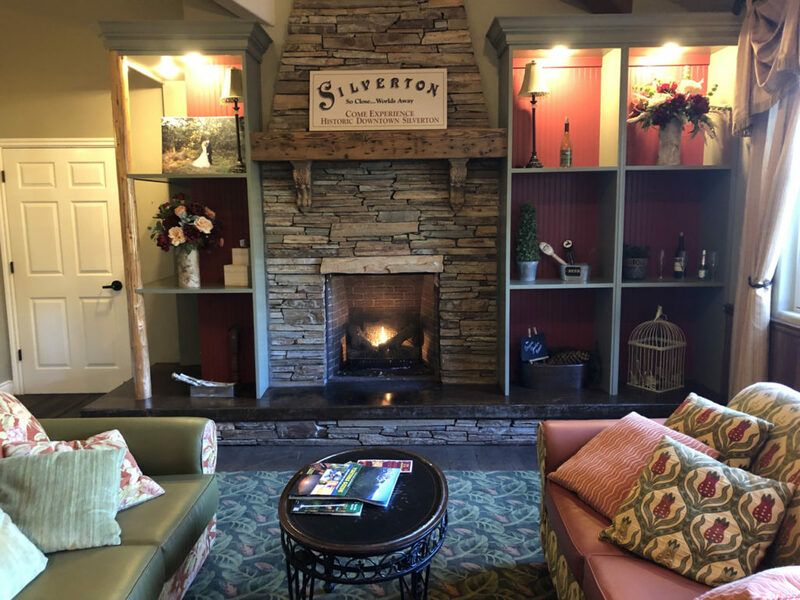 The lobby features an oversized fireplace with comfy seating. The restaurant and bar are adjacent to the lobby. 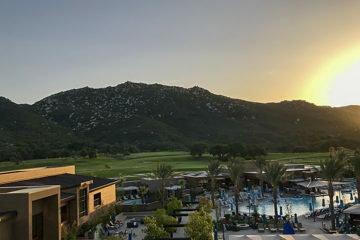 Sitting on 80 acres, there’s a full-service spa and incredibly comfortable rooms with numerous amenities. I would have loved to spend a week there. I could tell on the way to Zenith Vineyard we were about to experience an incredible sunset and I was right. 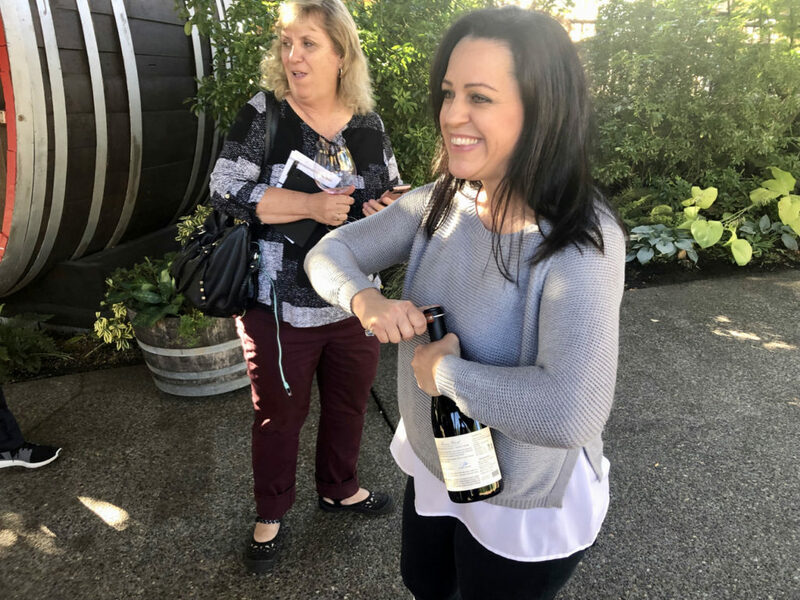 Kari Ramey was waiting at the front entrance and welcomed us in and shared their Estate Methode Champenoise sparkling wine with us, a blend of Chardonnay and Pinot Noir. At first they had absolutely no intention of building a winery. One of Tim’s friends bet him $1,000 that he would. His friend, obviously, won the bet. They reached out to Vlosser in 2006 and asked him to make their wines because “no one knew the vineyard better.” They then formed a partnership. Kari all along wanted to open a hospitality center. 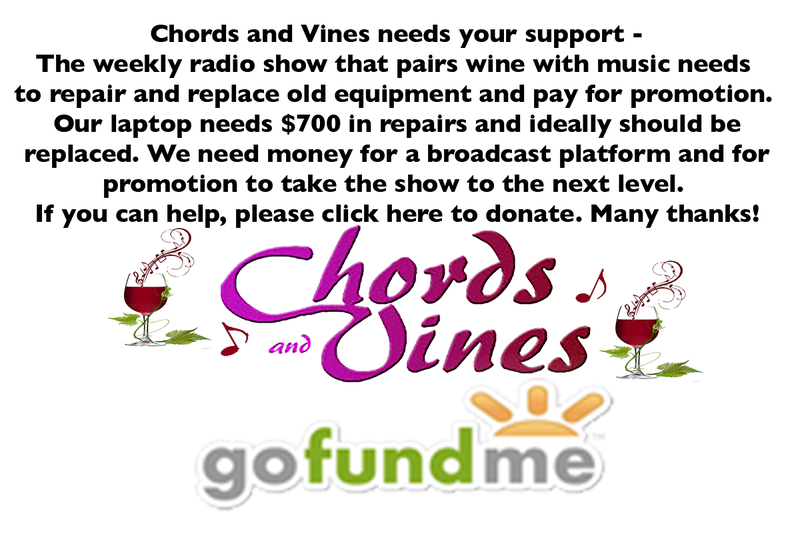 After learning they needed to open a winery to go into hospitality, they knew they had no choice. The 28,000 square foot building is ? winery, ? events space. Of the 60 acres planted when they purchased the vineyard, only 20 were on their own root-stock. They pulled out the non root-stock vines and replanted. They have a total of 83 acres planted to vines now. 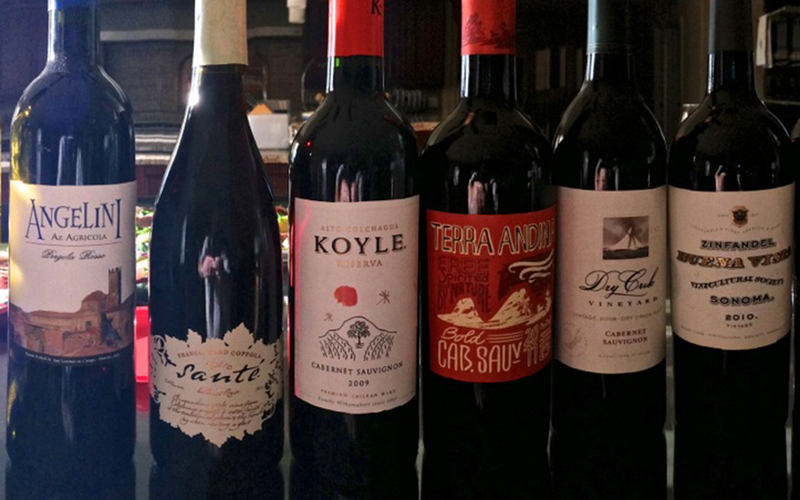 The sell to “blue chip” wineries, 22 in all. Ehren Jordan from Faila is now crafting their wines. 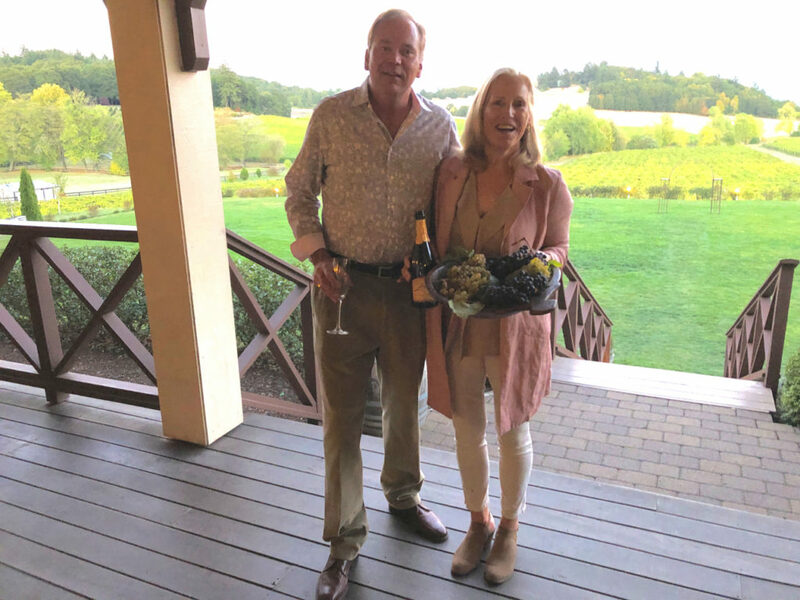 We enjoyed a delicious family style harvest dinner, paired with Zenith’s exceptional wines, including their White Veil Blushed Pinot Noir rosé, the estate Auxerrois, Tempranillo and Pinot Noir. 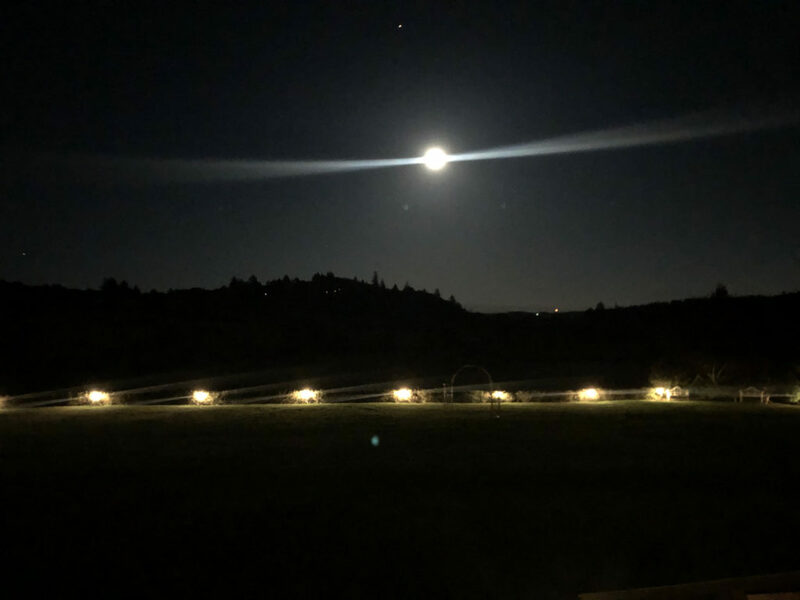 Stepping outside, the nearly full moon illuminated the spectacular Oregon mountainside. 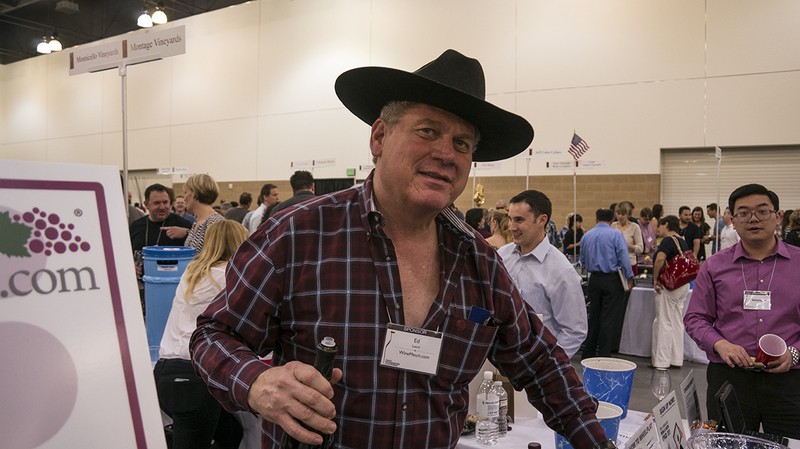 Tom Plant launched WINEormous in 2009 and is a member of the International Food Wine and Travel Writers Association. 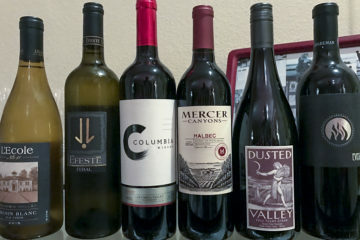 Based in Temecula, California, he offers intimate winery tours for no more than seven people. Tour details and pricing are available at www.temecula-tours.com. WINEormous is the recipient of the Luxury Travel Guide’s Wine Tour Operator of the Year award for Temecula 2017. Call now to book your Temecula Winery Tour at (951) 907-9701. Ask about special discounts.